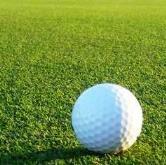 1 1/8" FRINGE TURF Discounts Apply ! The STPT2-F 1 1/8" True Fringe Turf product is best suited for use around your putting green when you are looking to have normal second cut fringe height variation. Fellow golf enthusiast, the fringe requirements are usually slightly higher than that of your golf green. Sometimes referred to as theApron, Collar or Fringe and it typically wraps around the edge of the putting green surface and is as wide as you see fit. Our fringe turfs are designed to look and perform like real grass. We manufacture it in three heights to fit the individual needs of the customer. Please feel free to contact our professional staff and we would be more than happy to help you determine what products will fit your overall individual needs.